Keeping your skin looking healthy and youthful can be quite the task in these cold winter months. Cold temperatures can wreck havoc on our skin, leading to dry and cracked skin that makes wrinkles and fold lines more noticeable. Luckily, there are a few options to combat the cold, and RVC Medical is here to help! We’re going to go over a few options to keep you looking and feeling your best during the long, cold winter. This cleanser from SENTE represents the latest in moisturizing technology and removes environmental dirt and debris while gently removing makeup and moisturizing the skin at the same time. The Daily Soothing Cleanser from SENTE does just that, deep cleans your skin and pores while creating a soothing sensation that lasts. Safe and gentle enough for daily use, and your skin will love you for it! SENTE products contain a patented formula revolving around their proprietary HSA technology. To read more about all of the scientific benefits found in SENTE products, visit our Skin Care page. Chances are, you’ve heard of this one before. BOTOX Cosmetic has been around for quite some time, and for very good reason! This treatment consists of small, precise injections into targeted areas of the face and neck to reduce the appearance of fold lines and wrinkles. BOTOX has been proven to be very safe over the years, and works as a muscle relaxer to lessen the appearance of problematic wrinkles. 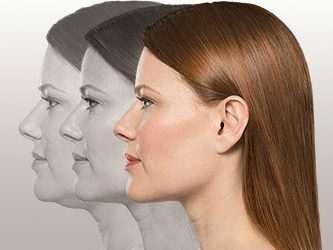 For more information on BOTOX at RVC Medical, visit our BOTOX page. This broad category of products covers many types of cosmetic treatments that roll back the effects of aging and improve the appearance of wrinkles and fold lines. Unlike BOTOX, which relaxes the muscles underneath the skin, fillers add volume to the underlying dermal structure, which makes even the deepest wrinkles disappear right before the eyes. RVC Medical offers the safe and effective cosmetic fillers Radiesse and Juvederm. Click here to learn more about the dermal fillers offered at RVC Medical. Not sure which Anti-Aging treatment is right for you? Give us a call at 425-557-4227 for a complimentary consultation today!